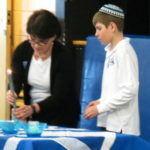 It has been a busy Shavuat Ha’Ruach (Spirit Week) here at OJCS! 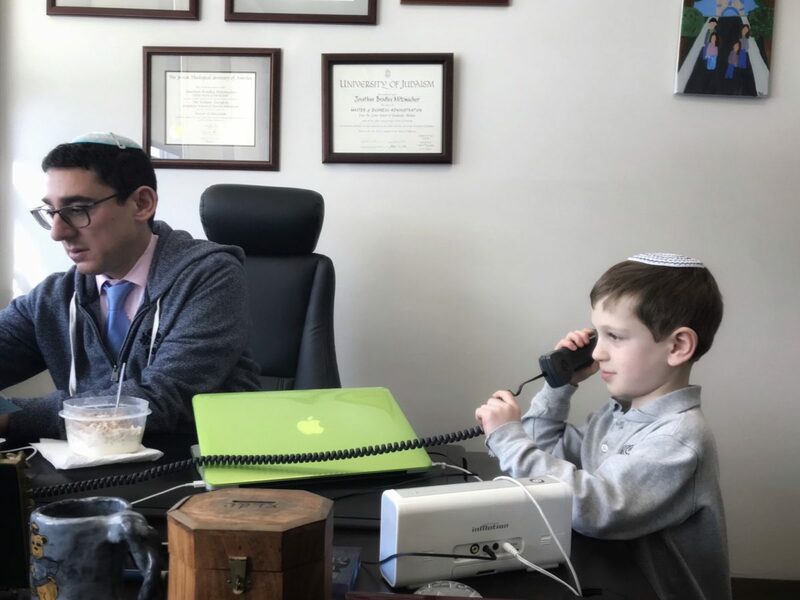 As we gear up to Purim (tonight and) tomorrow, I thought I would take a moment to pivot away from our children and spend a little time on us – Jewish parents. But hopefully for many families, including ours, the question isn’t what are we going to dress our children as for Purim. Rather, we ask ourselves what are we going to dress as for Purim? I would wager a bet that no more than 15-25% of families attending Purim services and/or carnivals this year will come in costume. Why? Far too often, even those who are the most engaged – the ones who do affiliate with synagogues and do try to provide their children with Jewish educational experiences – they work to ensure their children experience and participate, but neglect to include themselves. When as a graduate student in Los Angeles, I first attended a synagogue in which adults participated in Jewish holiday celebrations as adults – active, joyous and engaged – it was almost surreal. That was not a Judaism for children – costume contests, parades, pony rides and candy (although that may all have been there as well) – but a Judaism that adults took seriously for themselves. They were not lining the walls watching the children within; they were celebrating the joy of being Jewish for themselves. What’s the problem with “pediatric Judaism”? For me it is the perpetuation of the idea that being Jewish, or perhaps more accurately doing Jewish, is something that is only for children. We are our children’s most powerful role models and teachers and they are surely paying attention. When they can see that we take something seriously, it is a signal to them that they ought to as well. Children learn how to be an adult by watching our adult behaviors. We understand this as parents and so we think carefully about how we behave in front of our children, what kind of language we use, and what kind of values we express and try to live by. So, too, it is with being a Jewish adult. Our children are looking to us to see what adult Jews do and it presents us with a big opportunity and a huge responsibility. I don’t wish to pile on parents. We will all need to do more if we are ever to cure ourselves of “pediatric Judaism”. In our schools and our synagogues, we need to reach out to parents and provide them with the support, education, experiences and love they will need to find the courage to try on new ideas and behaviors. We will need to present a Judaism worthy of the education and sophistication of our parents. 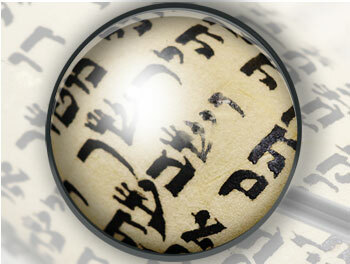 Luckily, Judaism contains within it all that and more. 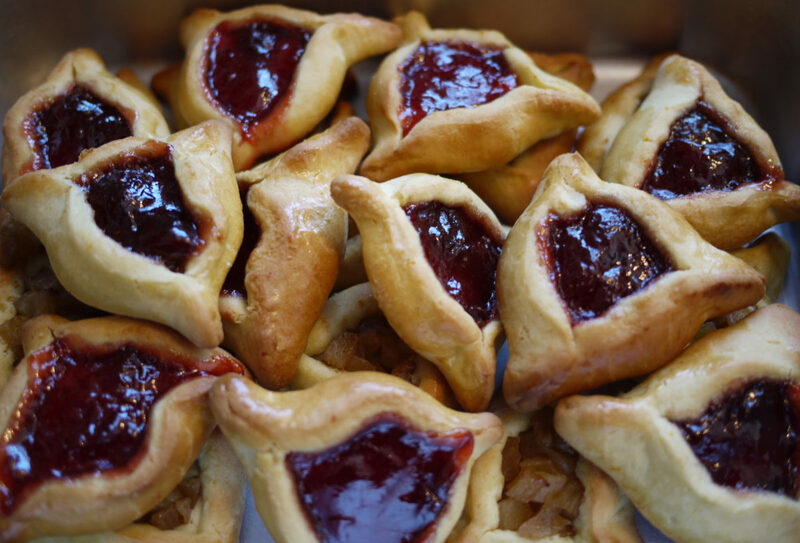 So…what are you going to be for Purim? Don’t let your children have all the fun…and don’t let them think that the fun of Purim is only for children. Does it refer to Jews who serve in leadership roles? Is it about Jews who lead in accordance with Jewish values? The first is common; the second is rare. We’ve been thinking about it a lot at OJCS. We have come to believe that Jewish day schools can serve as incubators for Jewish leadership because they have the opportunity to encourage and inspire both. I had the privilege of addressing this topic last Shabbat when I spoke at Congregation Machzikei Hadas and it went well enough that I was encouraged to blog about it this week. About three, four, years ago I had the opportunity to visit Donna Klein Jewish Academy in Boca Raton, Florida and I can still recall how each time we entered a new classroom, how a student would automatically pop up, come over, introduce themselves, tell us what was happening in the class, and then offer to answer any questions we may have. Class after class after class. No prompting from teachers. I further noted how each teacher had a personal mission statement on the doors of each classroom. The hallways were labeled in both Hebrew and English with each of the 7 Habits of Highly Effective People. That was how I was first introduced to the “7 Habits”. I further learned how CAJE-Miami helped provide training for many of the Jewish day schools in South Florida to receive training in The Leader in Me – which helps schools bring the 7 Habits to life – and provided some Jewish value translation work to ensure they could live throughout the Jewish day school experience. And, with some stops between then and now, that is how it came to be that OJCS began prototyping its own version of the 7 Habits this year. I have been blogging about the details of this prototype as we have introduced each new habit (and, yes, I am actually now one behind) and in preparation for last Shabbat I came across an article from Rabbi Lord Jonathan Sacks that helped me connect some dots. “Seven Principles of Jewish Leadership” is the title and the symmetry was too good to pass up. As a first step, I expanded upon a visual already created by CAJE-Miami and I created a visual that integrated Rabbi Sacks’ “Seven Principles” with the “7 Habits” with Jewish values. What I did conversationally, was link each of the “sevens” with Jewish text and real examples of what it looks like in a school or classroom. In a nutshell, I tried to answer the question of what happens when a Jewish day school moves Jewish leadership from the implicit curriculum to the explicit curriculum. You may note that all of the “sevens” are further divided along Rabbi Hillel’s famous dictum from Pirkei Avot 1:14 (again borrowed from CAJE-Miami) – the first three focus on the individual, the second three on the relationship between the individual and community, and the final on, let’s say “timing”. So. How about we explore what this can look like in real life and in real classrooms? The prototyping culture we are creating encourages and incentivizes students to take responsibility, to be proactive and in the parlance of our “North Stars” to truly “own their own learning”. #2: Here we look to Sefer D’varim (Book of Deuteronomy) in which during the last month of his life, Moshe sets out a vision and a set of laws to secure it. When we think at OJCS about the future, about “beginning with the end in mind,” we want our students to learn how to envision a future for themselves and then learn how to communicate and achieve it. We provide them with opportunities to develop these skills through a variety of student-led experiences with both high and low stakes. We collaboratively goal-set with each student around academic and behavioral outcomes, for example, as we head down a path that will likely end in student-led conferences (replacing parent-teacher conferences). We also provide students with opportunities to plan and run clubs such as our “Detective Club” and “Alien Club”. #3: Thinking about “putting first things first” and an overall sense of timing leads me to Rabbi Tarfon who said in Mishnah Avot 2:16, “It is not for you to complete the task, but neither are you free to desist from it.” In the life of school, this resonates with all the ways we are trying to help our students navigate time management and executive functioning. We now offer a Study Skills Elective each week. We offer twice-weekly Study Hall. We are looking at an Executive Functioning Boot Camp model for next year. We are looking at tools like Google Calendar and Google Keep. Another way we think about “putting first things first” is building on the success of our Middle School Retreat in helping create a sense of community and shared expectations for our middle schoolers each and every year. #4: This next one is a little dense, but is actually one of my favorite teachings about leadership. Rabbi Eugene Borowitz, a leading theologian and philosopher from the Reform Movement, wrote an article years and years ago in which he asserted that (religious) leadership should model itself on the kabbalistic notion of tzimtzum. “Tzimtzum” as described by Isaac Luria is the idea that in order to create the world, God had to contract Godself in order to make room for creation to take place. In other words, sometimes leadership is about making space for others to lead. These ideas are embedded in two of our North Stars – “We learn better together” & “We are each responsible one to the other” – and live in the commitment we have made to project-based learning and conflict resolution. #5: The Torah teaches that a king must write his own Sefer Torah which “must always be with him, and he shall read from it all the days of his life” (Deut. 17:19). Leaders learn. At OJCS, this lives in the North Star of “A floor, but no ceiling,” and in our emphasis on personalized learning. This year we are prototyping “Genius Hour” projects as just one example of letting students lead with their passion and letting their passion lead to their learning. 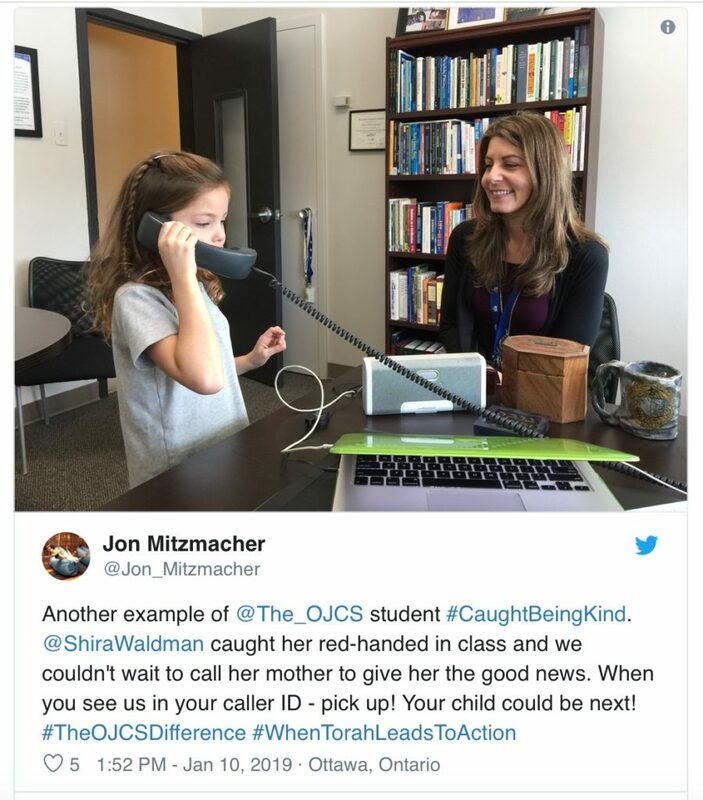 In terms of “seeking first to understand and then be understood” we are working with JFS to provide “Kindness Workshops” to our students to help them skill-build towards active listening. 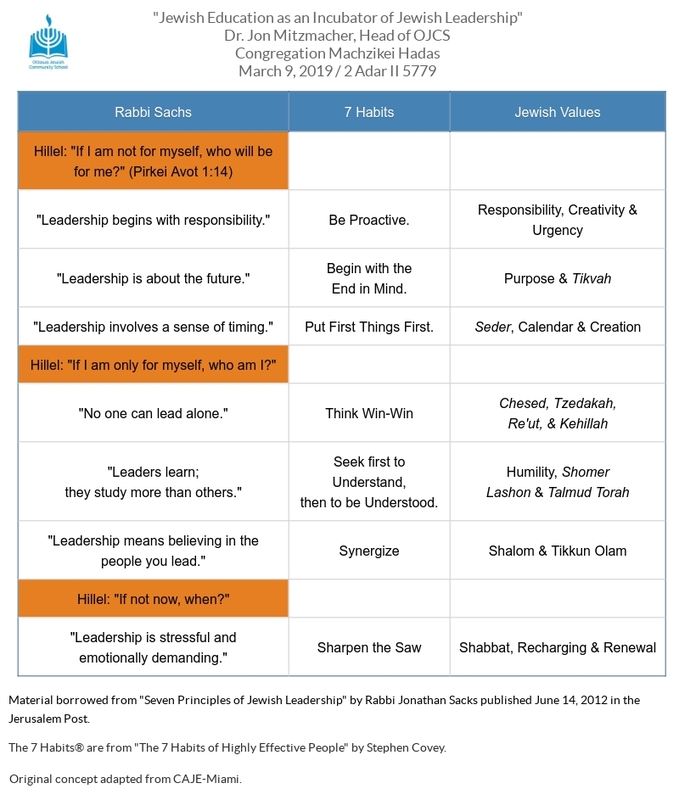 #6: Here I am going to quote directly from Rabbi Sacks in his article when he says, “One of Judaism’s greatest insights into leadership: The highest form of leadership is teaching. Power begets followers. Teaching creates leaders”. We provide our students with lots of opportunities to learn through teaching and to learn leadership skills by “owning their learning”. 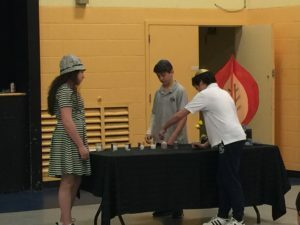 Whether it is a Grade 6 WE Day project, leading a Rosh Chodesh assembly, designing a Hebrew Escape Room or interviewing residents at Hillel Lodge, our students develop the skills to see projects through, to dream dreams, to speak publicly, and to organize. These are all the building blocks of leadership. #7: There are no shortage of examples of stressed out and overwhelmed leaders in the Bible. Moses, Elijah, Jeremiah and Jonah – just to name a few – all at some point prayed to die rather than carry on as a Jewish leader. That is certainly an extreme example of the toll leadership can take, but we acknowledge that stress is very real for our students and families. It is partly why one of our North Stars is “Ruach” – we have intentionally and explicitly named joy and spirit and wellness as a guiding value in our school. Studying in school (and teaching!) is supposed to be joyful. We do our best to provide wellness and mindfulness into the school day. It is why we remain committed to Art, Music and PE as part of a well-rounded experience. Students deserve to feel successful and joyful and not each student is going to find that in the traditional academic subjects. It is why we have a “Ruach Week” and a Middle School Retreat. It is also why we are looking at advisory and guidance models. The emotional and spiritual wellbeing of our students is important for them as human beings, and as future leaders. We cannot take for granted that what was once true will always be true. It has been true for generations that the leaders of Jewish organizations, schools and synagogues have come from the ranks of Jewish day schools; and flourished as a result. If we want that to continue – if we want to secure the Jewish future – our schools will need to work to make what was once implicit, explicit. 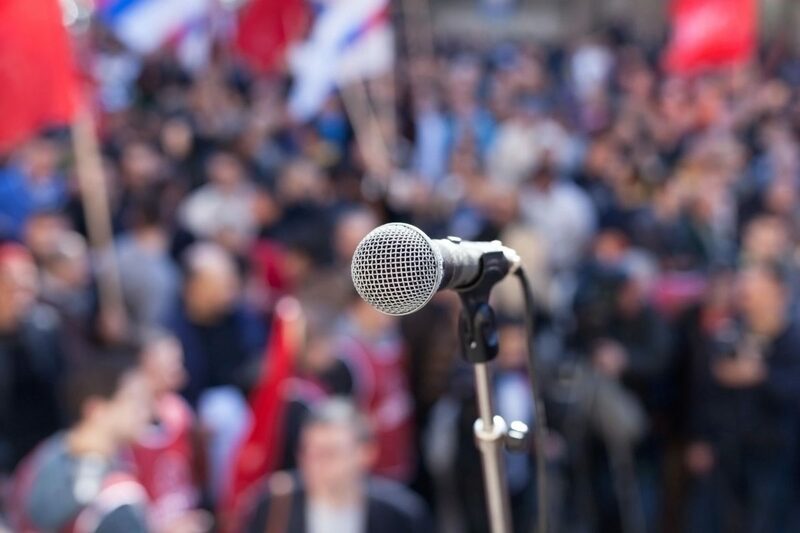 Jewish leadership requires Jewish leaders who know how to lead – not just as Jews, but Jewish-ly. Ken y’hi ratzon. What’s that giant sukkah you ask? That’s our brand new (to be finished today) OJCS Sukkah – thanks to the Zaret Family & Gemstone – which we look forward to eating and celebrating in as a school community when we resume school during Chol Ha’Moed next Wednesday. The timing of the holidays with the start of school has been crazy/amazing as we are doing our best to launch all our new procedures, initiate all our new projects AND prepare for/experience the joy of our fall Jewish holiday season! We have come out of Yom Kippur and are headed straight for Sukkot on Sunday evening…and hopefully I will find time to put mine up before the holiday! Sukkot is absolutely my favorite holiday of the entire year. There is nothing else like it on the Jewish Calendar – sitting outside in a sukkah you built yourself (which is pretty much the one and only thing I actually can and do build), with handmade decorations from your children, enjoying good food with friends and family in the night air, the citrusy smell of etrog lingering and mixing with verdant lulav – this is experiential Judaism at its finest. 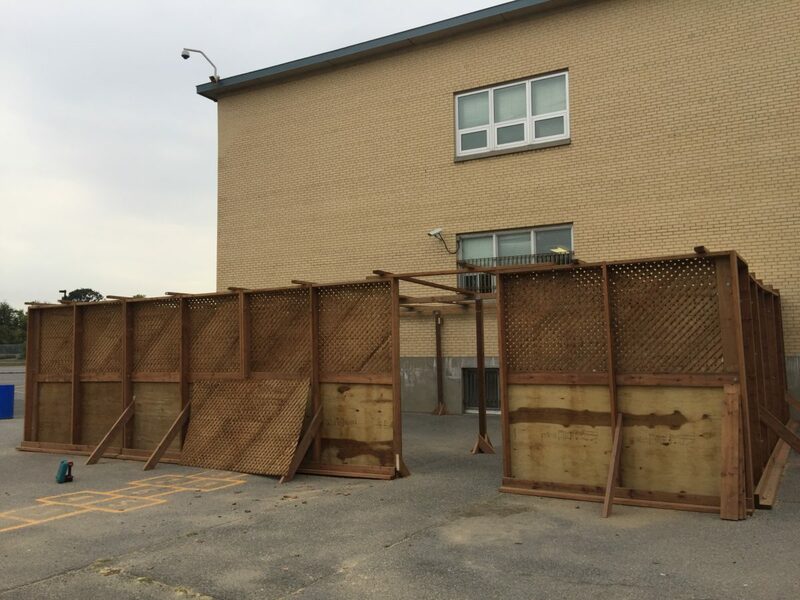 But here is a complicated truth: Even though our school will be closed on Monday and Tuesday for Sukkot, it is reasonable to assume that a significant number of our students will neither be found in a synagogue nor a sukkah enjoying what is known as “The Season of our Rejoicing”. But I’d wager that many, if not most, were in synagogue a couple of days ago for Yom Kippur. So when it comes to “atoning” we have a full house, but for “rejoicing” we have empty seats?! If our children – if we – only experience the Judaism of Rosh Hashanah and Yom Kippur and not the Judaism of Sukkot, the simple truth is that we are not exposing them to the full range of beauty and joy our tradition has to offer. So why, in fact, is this a common occurrence? I’m not entirely sure, but I think it has to do with the exotic nature of the holiday. 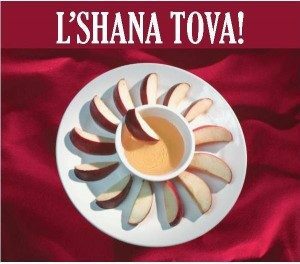 As someone who did not grow up celebrating this holiday, upon coming to synagogue as an adult and watching a congregation march in circles waving fruits and vegetables – well this was not the Judaism I knew! But for me, that is precisely what makes it so unique, special and not-to-be-missed! No one likes to feel uncomfortable and adults, especially, are wary of feeling uneducated or unprepared. I know how I felt encountering Jewish ritual for the first time as an adult – it was scary. I, however, was lucky. I was pursuing a degree in Jewish education and, therefore, had all the support and resources I needed to learn and grow. I realize that most adults coming at Jewish practice for the first time (or the first time in a while) are not so lucky. 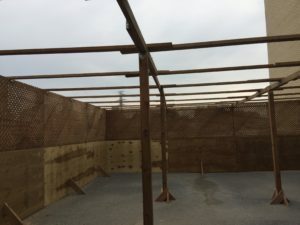 The amount of “stuff” Judaism asks of us to do – building the sukkah with precise specifications, shaking the lulav and etrog in the proscribed way, chanting less-familiar prayers, coming to synagogue on unfamiliar days – can be overwhelming. I’d simply ask you to consider this: When building your child’s library of Jewish memories, which memory feels more compelling and likely to resonate over time – sitting in starched clothes in sanctuary seats or relaxing with friends and family in an outdoor sukkah built with love and care? You don’t have to choose just one, of course, that is the beauty of living a life of sacred time – there is a rhythm to the Jewish calendar, evocative and varied. Come to synagogue for the High Holidays, to be sure. But don’t miss out on Sukkot (or Simchat Torah or Shavuot or “Add Jewish Holiday Here”). Let this Sukkot truly be the season of our great rejoicing. I hope many students find their way to synagogue and into sukkot this Sukkot. I hope many parents push themselves out of their comfort zones and join the parade. I pledge that next year OJCS will take a more active role in providing families with the tools they may need to get started through parent workshops and community sukkah-building parties. But if you are curious or inspired…go ahead…pick up your fruit and vegetables and march with us! That’s all I can say. We got back exactly one week ago from our three-day inaugural Middle School Retreat at Camp B’nai Brith Ottawa (CBB) and it was everything we could have hoped for in a Jewish informal educational experience. We had learning, games, athletics, prayer, social bonding, community building, hiking, zip lines, and a campfire to boot! It felt like we squeezed a summer’s session of camp into just three days…and we are all tired enough to prove it! After having spent a good chunk of time, in between catching up with the rest of the school and planning through the rest of our holiday experiences, putting together a video of our experience, I will let the video to the talking. I will likely have more to say after the holidays when I’ve had a chance to properly process and reflect. We didn’t necessarily know what we would come out with, so I apologize to parents and students that not everyone may have made it in – it is not a reflection of anything other than happenstance. We will more than make up for it with photos and videos throughout the year. It is, I hope, a taste of why this retreat will become an important part of our middle school. Our relationships are forever changed – for the good. We will be able to do things within the walls of the classrooms that we never would have without having spent time together outside of them. The holidays start so early this year that I can barely squeeze in my favorite pun! With only four school days before Rosh HaShanah, we are doing our very best to get into the holiday spirit. Our “Shofar Patrol” has been making the rounds, apples are being cut, and honey is being poured. Let me take a moment to congratulate all our new teachers and all our new parents on a wonderful first week of school. 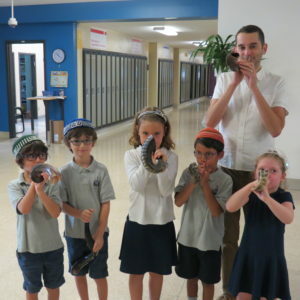 Your enthusiasm and your passion are welcome additions to our growing school and inspire our hopes not only for this year, but for the years to come here at the Ottawa Jewish Community School. Those of you who are new to our school and to me, will learn that I embrace radical transparency. I believe it is important to be authentic, honest, open to feedback and willing to lean into difficult conversations – all traits we believe worth modeling for our children. We have nothing to hide in our school and our parents are our partners. One of our north stars is that “we learn better together”. There are lots of “we’s” in our school – students with students, students with teachers, teachers with teachers, etc. – but parents are also part of the “we”. Working together we can resolve almost any issue and adequately address any concern. We take the safety of our children as our highest concern. The reason we invested so much energy last year in changing our drop-off procedures is that we wanted to ensure that the parking lot was controlled and safe. We were so committed to it – and still are – that our entire administrative team commits itself each and every morning to being there. (And we also think greeting our students each morning is the best way to start the day!) It took a while for families to learn the ropes – and we have the emails to prove it! But sooner than later, we got into a rhythm and now we have a safe and efficient drop-off. It is deja vu all over again now that we have turned our attention to pick-up. The issues are similar – we really want to make sure in a complicated world that each child finds his or her way to the right parent, carpool, bus or caregiver. We also want to make sure students don’t wander into the parking lot or off campus without anyone noticing – things that could have happened here as a consequence of simply opening the doors and letting our entire school pour out. There are minimal and maximal ways we could address this issue. Lean too much to one side and you have greater convenience and less safety; lean too much to the other and you have greater safety and less convenience. We are trying to find a middle path. We invite your patience and appreciate your flexibility as we adjust to this new way of ending our day. We firmly believe that sooner than later we will get into this rhythm as well, and we will add a safe and efficient pick-up to our safe and efficient drop-off. This may seem like an odd place to anchor a conversation about snack and recess – which is the hot topic of the week – but it is actually where it lives. The promise we make parents at the time of enrollment, not just at the beginning, but each and every year as we never take re-enrollment for granted, is that we have an appropriately rigorous floor for each student, but no ceiling of expectation for how far their passion and talent can fly. That is why we are moving towards personalized learning, investing in innovation consultants, reimagining our schedules, introducing new technologies, playing with our space, etc., etc., all in the service of providing the highest-quality education possible. We spent an enormous amount of time last year collecting data from alumni, former students and families, current students and families, the schools our children graduate into as we grappled with three really important conversations: What needs to be true about our French outcomes? What needs to be clear about our Jewish expectations? What is unique about teaching and learning at OJCS? The answers to those questions were transparently shared out in Town Halls about French, Jewish Studies, and “The Future“. And part of those answers required a re-imagination of our schedule, because time is a zero-sum game. And the reason we shared it so openly then was that we knew it would invite questions and we were happy to answer them then…and we remain happy to revisit them now that we are beginning to live them. I want to focus here on the Lower School (K-5). Up until this year, our Lower School had been functioning on a Middle School schedule – bells every 40 minutes dictating artificial changes that don’t suit the needs of younger students. We wanted to move towards a larger block schedule that gives students and teachers the breathing room they need to let the learning flow at a more relaxed pace or to extend the learning where enthusiasm takes it. So we have made that change. It isn’t perfect (yet). Some grades were easier than others due to personnel needs, but we are closer to where we want to be than where we were. In Grades 1-5, in order to increase contact time in French and Jewish Studies – a need that came out loud and clear from our research last year – we are being more creative with the 50-minute block that was given to snack and recess each morning (a little over an hour after their arrival). There has been no decrease in recess or physical activity. (It has actually gone up with an added period of Physical Education.) What has changed – and where we are seeing the most questions and concern early on – is the nature of snack. Our desire to provide our students with the nutrition they require remains intact. Our willingness to provide our students with the time they require for snack has not changed. What has changed – and where we have growing pains to work through – is that the time being given over to snack comes with a little bit of learning. This will look and feel different in Grade One than it will in Grade Five. It will look and feel different in Week One than it will in Week Thirty. And the flexibility and autonomy our teachers have (now) allow them to make daily adjustments as per the needs of the children. If some days the snack needs to come with little to no learning…that’s okay! If some days the recess needs to be longer…that’s okay! Another one of our “north stars” is that “we own our own learning” – and our teachers and students have full ownership of what needs to be true on a daily basis. They are not being micromanaged by the administration. That’s the real change to pay attention to – that we aren’t letting the bell dictate when learning begins or ends, or whether students can eat or not, or whether students get a body break or not – we are letting our teachers and students begin to take ownership of their learning since they know best what they need and when. This is so new for us! And for you. It is natural that you have questions and concerns. We welcome them directly. We are having the same conversation with our teachers who also want to make sure that students have time to eat and time to play…and time to learn. A number of parents have asked whether it would have been smarter to simply increase the length of the school day. Believe me, I would love a longer day to work with and perhaps that’s a conversation we should be having. But please don’t think that aren’t carefully considering the wellbeing – mental or physical – of our children. We know the research on movement and on nutrition. We believe our teachers – working with their students and with you – will discover what is best for each class and that we will land in a place that feels comfortable for all. We added ruach (spirit or joy) as a “north star” not just because we needed six to make sure our “north star” was a “north Star of David”, but because we know how important ruach is in the life of a school. We want our students and teachers to feel the joy of learning and the love of community. We want each person to feel that special feeling when he or she can be their truest self and know that they will be heard and respected and loved. That’s a lofty ambition, but one worth reaching towards. It is why we are so excited about next week’s Middle School Retreat at Camp B’nai Brith of Ottawa (CBB). It is why we are looking for greater parent engagement in our PTA and in our school. It is why we created cafeteria space to eat and to sing together instead being siloed into classrooms. It is why we raised money to install air conditioning in our hottest classrooms so our students can learn in comfort and not distress (with more to come). 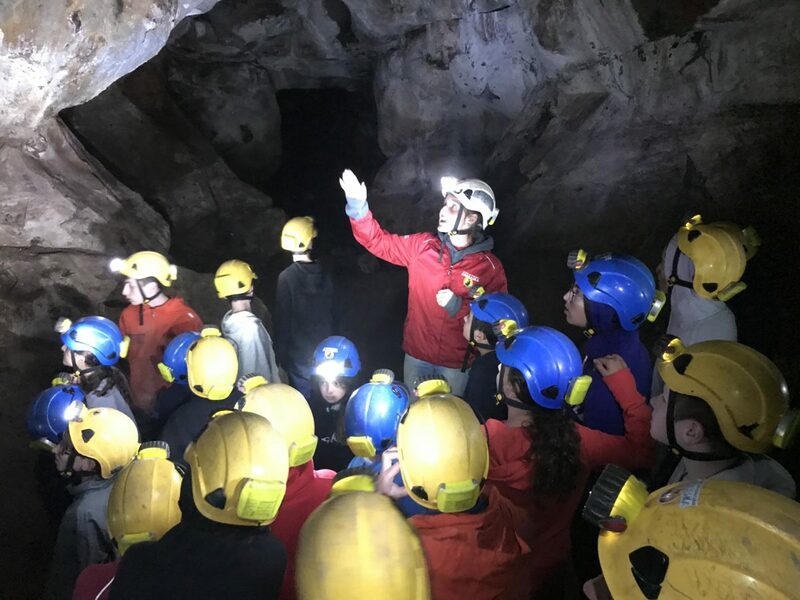 It is why we are increasing field trip opportunities, adding electives to Middle School, and constantly re-imagining what we do and how we do it. It is why we get up in the morning each and every day with a fire in our bellies and a smile upon our lips. Research shows that one of the most important variables to academic success is teacher joy – when teachers are excited to teach, students are excited to learn. And when students are excited to learn, anything is possible. That’s the future we are building at the Ottawa Jewish Community School. That’s why we are willing to make changes, even when those changes are hard and sometimes even when those changes fail. We will never let fear of failure prevent us from reaching towards those (north) stars, because we’ll never get there if we don’t try. As the eve of a new Jewish Year approaches, it is my most sincerest hope that this is the year we’ve been waiting for. To all the teachers, staff, parents, students, donors, supporters, and friends in this special school- thank you for your enthusiasm and your hard work. 5779 is shaping up to be a quite an amazing year! This is typically the time of year when we wax philosophic about Jewish camping and lament that Jewish day schools can’t seem to capture the efficacy, niche, demand and profitability of our educational first cousins. This is not a knock on Jewish camping. My personal story and Jewish journey are inextricably linked to Jewish camping. But having just had occasion to visit many of our OJCS students at Camp B’nai Brith of Ottawa Summer Camp and to visit my own wife and children at Camp Ramah Darom, and being reminded of just how powerful those experiences can be, I want to name a few challenges that Jewish camping presents for families and for the Jewish day schools who enthusiastically support them. I am convinced that one of the greatest challenges in Jewish education is identifying the vehicles of transferability from powerful experiences to meaningful Jewish choices. And although I am partial to Jewish camping and Jewish day school as the two most likely candidates to produce said experiences, I have participated in amazing supplemental school classes, transformative youth group retreats and excellent adult education seminars. There are opportunities abundant in Jewish education for creating connections – connections between people, connections to history and ideas, and connections to God. However, the difficulty lies in linking those experiences to an ongoing engagement with Judaism between and after the power of those peak experiences fade. Let’s look at a stereotypical peak Jewish camping experience. Havdalah is a transcendent highlight for children (and teens and adults) attending Jewish summer camps. 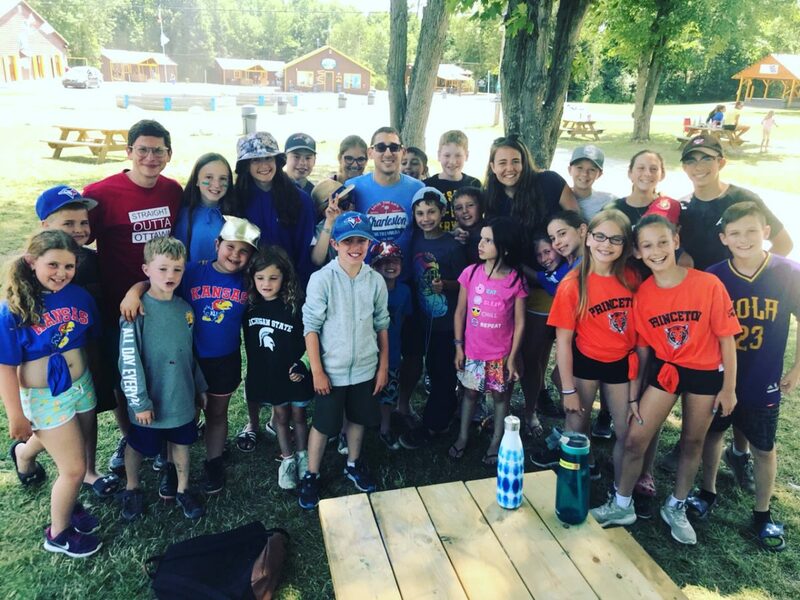 It is amongst the most powerful events that take place at camp and for many Jewish children it takes place exclusively during the summer. The same is true for daily/weekly prayer, Shabbat observance, kashrut (of some form or another) observance, etc. For many Jewish children (and teens and adults) these rituals only exist during the summer months when they are not only viewed as normative, but as ultimate. Likewise, for many day school kids, kashrut, blessings, prayer, speaking in Hebrew, study of Jewish text, etc. – these activities are imbued with meaning and purpose within the confines of the school walls, but for many they end with the closing school bell. The power in camp and day school experiences lie in their ability to make normative [or even better “cool” – which camp particularly excels at] Jewish rituals and practices that are anything, but normative in children’s family, synagogue and Jewish communal lives. Havdalah with your parents at home on a Saturday night while your friends are waiting for you to meet them at the movies cannot hold a candle (even a braided one) to havdalah under the twinkling stars in a redwood retreat, arm-in-arm with your newfound closest friends and a guitar strumming away. The day school student who cannot use his/her Hebrew outside of school with friends and family will only find it so meaningful for so long. It is difficult to replicate a magical sukkah experience at a home without one. Etc. The potential dissonance between what is lived in Jewish educational settings and what is lived in the family is well-known and is as difficult to breach now as it has been for the last half-century or more. Jewish schools are on the front lines of this conversation. Although there is a meaningful percentage of families whose primary concerns are Jewish Studies, there many families enrolled in our school because they are looking for a variety of things, a topnotch secular education being at the top of the list. The fact that it also comes with a high-quality Jewish Studies program and is housed in a Jewish setting emphasizing Jewish values can mean anything from “also important” to “nice” depending on the family. 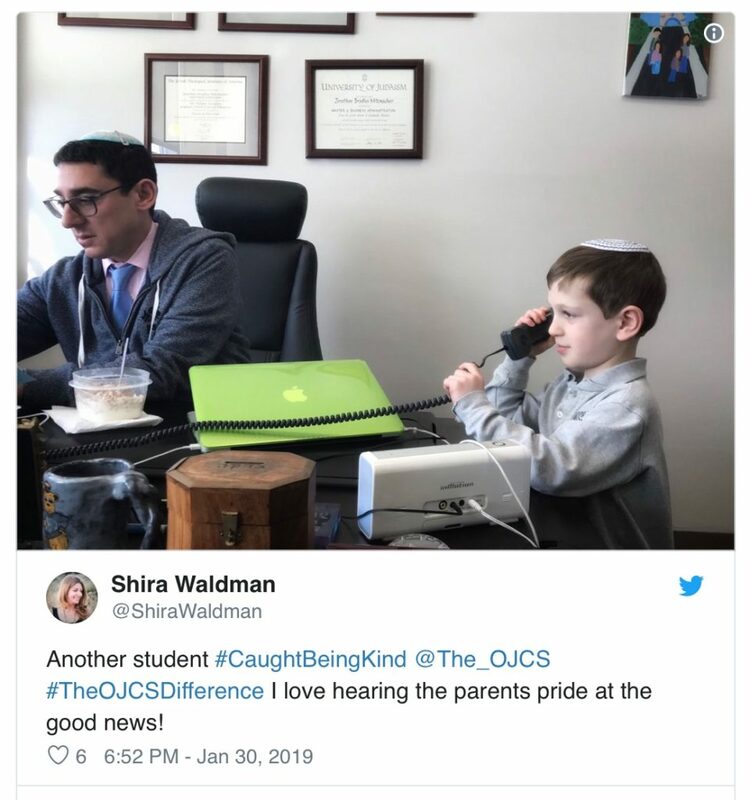 Even in the Jewish educational setting where families are arguably the most invested, we still struggle to find the motivation and vehicle for transference. In our school, where we have explicitly named “We are always on inspiring Jewish journeys,” as one of our “North Stars” it begins with admissions and carries through to graduation. During initial family interviews, we are candid with parents about our school’s agenda for the inculcation of Jewish ritual and practice. It is really no different than the agenda we have for the inculcation of any other facet of our program. We want our children to go home from school excited about everything they are learning and seeking to find meaningful ways of incorporating lessons learned into lives lived. Unlike math or reading, however, we need to be willing to reach into families’ lives to provide encouragement and education to bring the Jewish Studies curriculum to life. Nurturing the relationships that allow that process to occur is, perhaps, the most important, fulfilling, and sacred aspect of our work. 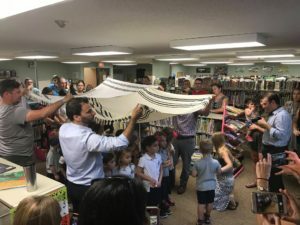 Finding the way to sow the seeds for Jewish journeys is the secret sauce that can connect the dots from summer’s peak Jewish experiences to the school-year’s rich and rigorous Jewish education to families’ Jewish lives, enriching and enhancing each in turn. As we prepare in the weeks ahead to welcome our children home from camp and to welcome them back to school, let’s work together to help our children appreciate that being actively engaged Jewishly is a year-round and lifelong endeavour. What a two weeks back from Passover Break! Last Thursday was Yom Ha’Shoah – the day on the Jewish Calendar where we pause to remember the events of the Holocaust and the memories of all who perished therein. Yesterday we celebrated Yom Ha’Atzmaut – the day on the Jewish Calendar where we celebrate Israeli Independence Day. In between, on the roller coaster of spring holidays and immediately the day before, was Yom Ha’Zikaron – the day on the Jewish Calendar where we commemorate Israel’s Memorial Day. It is always a remarkable juxtaposition of days – complete 180 degrees of emotion that take place with a click of the second hand and, in Israel, the siren’s call. Unlike in North America, where fewer families are personally touched by military service, in Israel no one is untouched by war’s destruction and all pause to personally mourn. I feel so blessed to have had a chance to observe and celebrate these holidays as part of the OJCS and larger Ottawa Jewish Community. In addition to attending powerful communal gatherings for each of the holidays, our students and teachers helped lead incredible assemblies and programs here at school. This is when the power of living in rhythm with the Jewish Calendar is most obvious; this is when the power of a Jewish day school education is most clear. 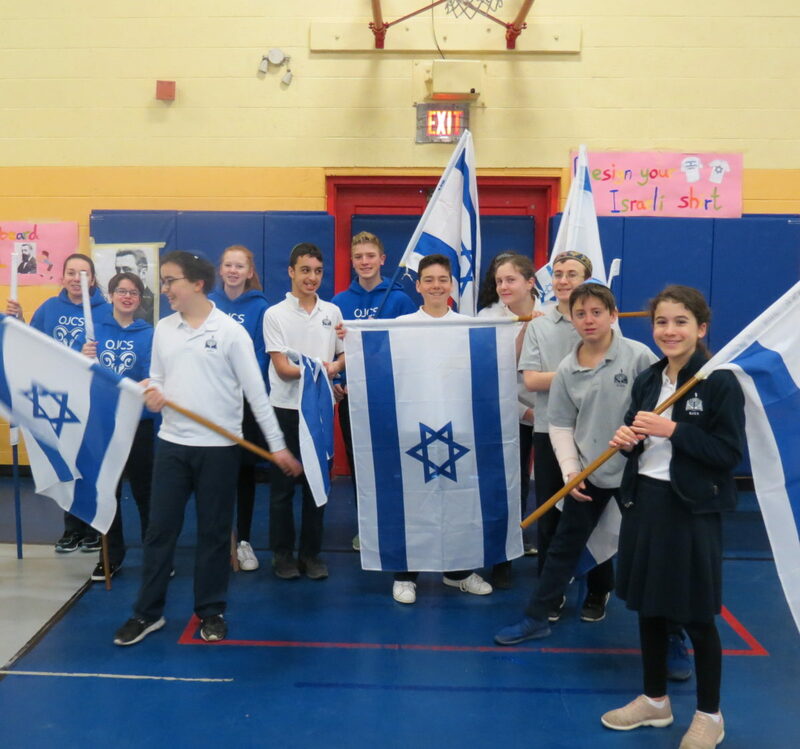 We began with Yom Ha’Shoah, where our Grade 8 students, led by our Shinshinim Idan and Noa, Morah Ruthie and Rabbi Rotenberg, prepared a powerful assembly for our older students which incorporated presentation, liturgy, music and a candle-lighting. I was so impressed by how seriously our Grade 8 students took their responsibility and by how seriously our students took the assembly. It was an appropriate tribute to such a solemn day on our calendar. It was Grade 7’s turn this week – with huge help from Morah Ruthie, Noa and Idan – to lead our school in an incredible Yom Ha’Zikaron assembly. Hereto, they incorporated presentation, liturgy, music, dance, and a candle-lighting. It was extra special to have had a chance to hear from our slightly ad-hoc “choir” who had a chance to perform both at the community’s commemoration as well as our own. 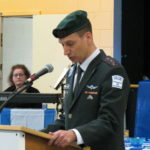 We were also blessed to hear from a special guest, Col. Amos Nachmani, the Israeli Defence Attaché to Canada, who shared some remarkably personal words to help our students better understand and connect to this important holiday. This is one of the true blessings of being a Jewish day school in our nation’s capital. As for our school’s epic celebration of Israel’s 70th anniversary? Are there enough words to capture the day? Is there enough praise for Morah Ruthie, Idan and Noa? I could try to capture in words our appreciation for all the time and love that went into the planning. I could try to describe the celebration of raising the Israeli flag back to full mast, the spectacle of the assembly, the energy of the “7 Stations for 70 Years” where our students rotated between experiences of Israel’s accomplishments across the arts, science, sport, etc., or the joy of the closing festival. But sometimes words are simply not enough. So with great thanks to our new IT maven and overall tech and media guru Josh Max, please enjoy a taste of yesterday’s magic. If you have not filled out your Annual Parent Survey (and 55 already have as of today! ), please do so by April 30th if you want your feedback included in the report. Please join us on Thursday, April 26th at 7:00 PM for our next “OJCS Town Hall” – this one about how are gong to strengthen the “J” in OJCS. You can RSVP to Jennifer Greenberg (j.greenberg@theojcs.ca). 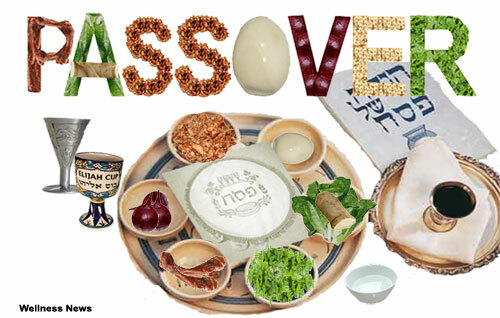 It has become a tradition for organizations to use the pedagogy of Passover to advocate for causes. We can change customs (“The Four Children”), add customs (“Miriam’s Cup), or adjust customs. One common adjustment is the addition of a “fifth question”. In addition to the traditional “Four Questions” we add one to address important issues of the day. You can go online and find a myriad of examples of “fifth questions” that deal with everything from gun violence, hunger, drought, Israel, peace, etc. You can find a “fifth question” for almost every cause. 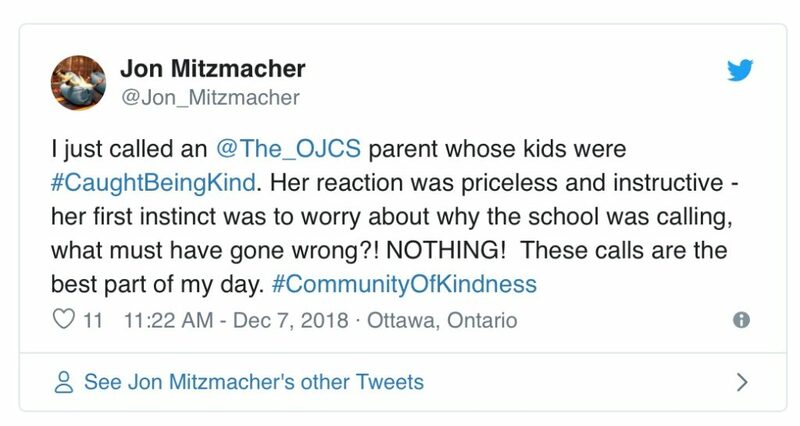 Head of the Ottawa Jewish Day School: Why is this conversation about OJCS different than all other ones? Jewish Day School Practitioner: How can I meaningfully address the “relevancy crisis” while still addressing the “affordability crisis”? American Expatriate in Canada: How do I understand an “exodus” story living abroad for the first time? How do you balance exercising the responsibility of citizenship with the responsibility of residence? Parent: How can the imagery of the “Four Children” remind me that my children are unique – from each other as well as everyone else – and that the responsibility for “personalized learning” is as much (if not more) a parent’s as it is a teacher’s?